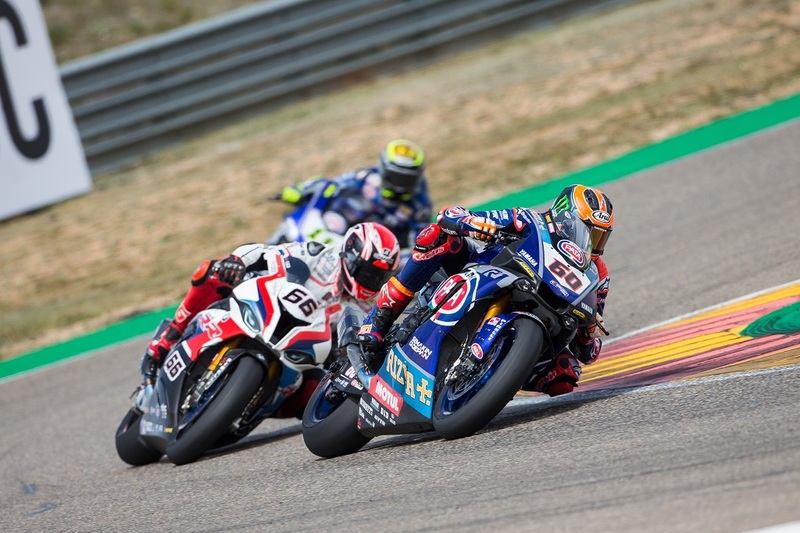 Pata Yamaha WorldSBK rider Michael van der Mark was involved in a titanic five-way battle for the podium in today’s 18-lap WorldSBK encounter in Aragon, missing out only due to deteriorating rear grip in the closing stages of the race. After a difficult Superpole session, in which he qualified only 11th on the grid, van der Mark and his crew took the chance on an untested set-up for the race. It was a gamble that paid off for the Pata Yamaha rider, who made a flying start from the third row, only to have to immediately shut off to avoid Markus Reiterberger, who crashed in front of him. By mid-race distance, van der Mark had caught the group fighting for second, but a drop off in rear grip in the closing stages of the race meant that he was unable to mount a challenge for the podium and he eventually finished sixth.